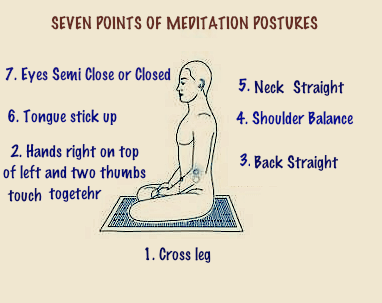 Provided is a brief step by step guide on mindfulness meditation that will give you an idea of what it entails. This is a good starting point for anyone that is interested but of course alternative sources should be sought out, check the Evolve section above. Find a quiet and private place where you feel comfortable. In the beginning the mind must be trained in a protected environment. Assume a comfortable position, preferably one that allows the mind and body to be relaxed but also alert. It is said that when the the body is straight the mind will be clear. If you decide to rest the mind on your thoughts than watch the thoughts as they come and go, while trying not to interfere with them. If you don’t have any thoughts at a particular moment than be aware of that emptiness. If you hear a noise simply perceive the noise for what it is. If you have a thought let it come and go without interference and without building on the thought. Whatever comes across the mind let it come and go while resting in emptiness in between sensations. Be fully present and aware with what is going on in the mind. Much like you would watch cars drive by you as you stand on the sidewalk waiting to cross the street but in this case you have no intention of going anywhere. Try to be as nonjudgemental as possible. When you do find yourself chasing a thought, whether you are being mindful of your breath or thoughts, gently bring your attention back to what your object of meditation was. Chasing thoughts is very common in meditation, especially in the beginning, so being gentle with yourself when you do drift away from being mindful is key to sustaining the motivation to keep practicing. 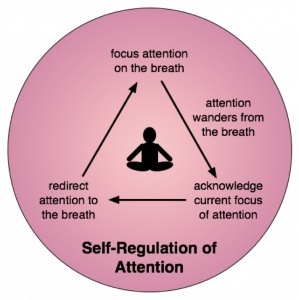 Using the breath as an anchor to bring your mind back to the starting point may help. Try practicing steps 1-3 this for a short amount of time and gradually work your way up to 10 minutes. Practicing daily and doing multiple short practices throughout the day are highly beneficial. Working with the mind takes time and patience so appropriately pushing yourself to make progress but not so much that it feels impossible is important. Feel the pureness of the present moment and continue your day with an enhanced state of mind.